Gitgit waterfalls is on the way from Pura Ulun Danu to Lovina. 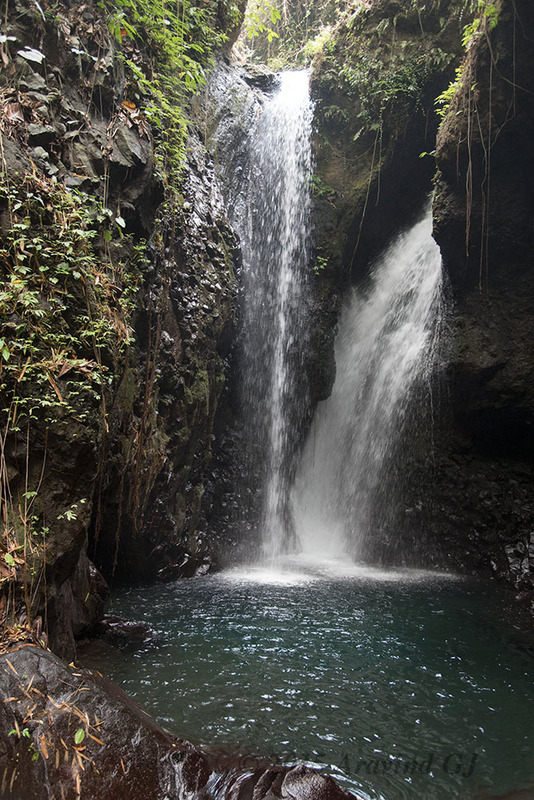 Situated in the hills of Northern Bali, it is one of the several waterfalls in the region. 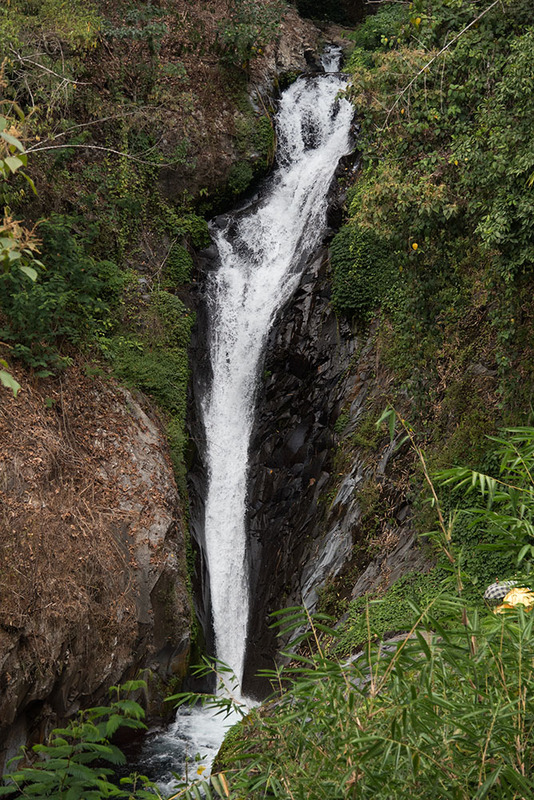 It is a three stage waterfall. As we got down from our vehicle, our driver indicated that we could take a guide. But the charges mentioned were too high (300K IDR = Rs 1500). 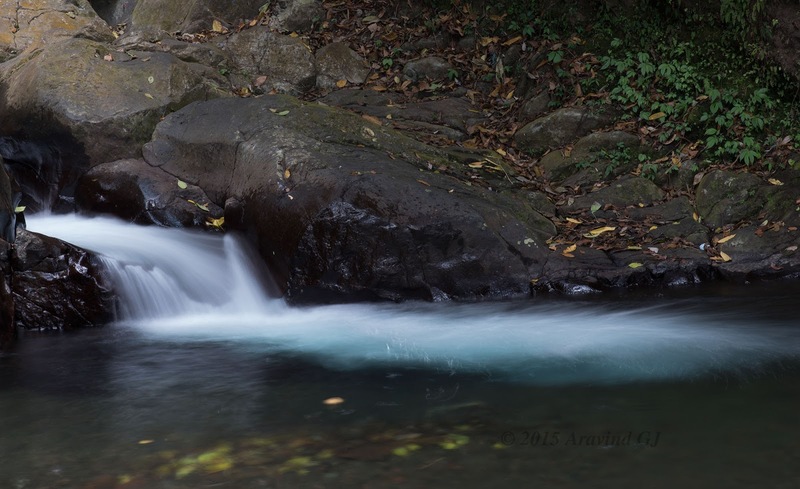 I felt that it should be easily possible to find the route to the falls and hence there is no need for a guide. As we started getting down, we realised that it was a good idea not to take the guide. The path indeed was very clear. There were also shops selling souvenir and drinks on the way!! After walking down for 15-20 minutes, we reached the first waterfall. We had to take a slight detour to the left to reach the base of the waterfall. The water falls in two cascades forming a pool at the base. Ideal for swimming but the pool is deep!! To reach the second and third waterfall, we had to further climb down. It takes about another 15 minutes. It was afternoon and hot day and we were hungry. We were tired people when we climbed back the hill though completely satisfied with the falls! !